SIP certified and home to an extensive range of varietals of wine, the vineyard helps allow Opolo to create many unique wines as well as award winning blends. Opolo Vineyards has a long established reputation of growing and producing award winning wines in Paso Robles, California. With nearly 300 acres of vines on the east and west side of Paso Robles, Opolo Vineyards is privy to a wide range in climate, soil and growing potential—allowing an extensive range of varietals to flourish. This variety combined with the passion behind the brand has made Opolo a favorite of wine enthusiasts everywhere. Visit their estate vineyard on picturesque Vineyard Drive. Enjoy a wide range of experiences, from tours and cheese pairings, varied flight options and Pairings on the Patio to Willow Creek Distillery or one of our events on the hilltop where you’ll enjoy gorgeous vineyard views. 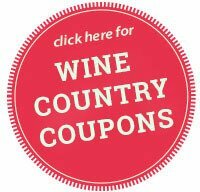 Albariño, Barbera, Bordeaux-Style Blend, Cabernet Franc, Cabernet Sauvignon, Chardonnay, Dessert, Grenache, Malbec, Merlot, Muscat Canelli, Petit Verdot, Petite Sirah, Pinot Gris, Pinot Noir, Port-Style, Red Blend, Red Rhône-Style Blend, Red Tuscan-Style Blend, Rosé, Roussanne, Sangiovese, Sauvignon Blanc, Sparkling, Syrah, Tempranillo, Viognier, Zinfandel.